Today is your last chance to save up to 50% on CE with our June Specials. Sale ends at midnight – don’t miss out! Courses are valid for 3 years from purchase date. Professional Development Resources is approved to offer continuing education by the American Psychological Association (APA); the National Board of Certified Counselors (NBCC); the Association of Social Work Boards (ASWB); the American Occupational Therapy Association (AOTA); the American Speech-Language-Hearing Association (ASHA); the Commission on Dietetic Registration (CDR); the CaliforniaBoard of Behavioral Sciences; the Florida Boards of Social Work, Mental Health Counseling and Marriage and Family Therapy, Psychology & School Psychology, Dietetics & Nutrition, Speech-Language Pathology and Audiology, and Occupational Therapy Practice; the Ohio Counselor, Social Worker & MFT Board; the South Carolina Board of Professional Counselors & MFTs; and by the Texas Board of Examiners of Marriage & Family Therapists and State Board of Social Worker Examiners. Sale prices valid on future orders only. Sale ends June 30, 2015. There’s only 1 week left to take advantage of our March CE Specials! Don’t need CE now? No worries! Courses are valid for 3 years from purchase date so you can save now and complete whenever you need the credit. Hurry, sale ends March 31, 2015! Sale prices valid on future orders only. 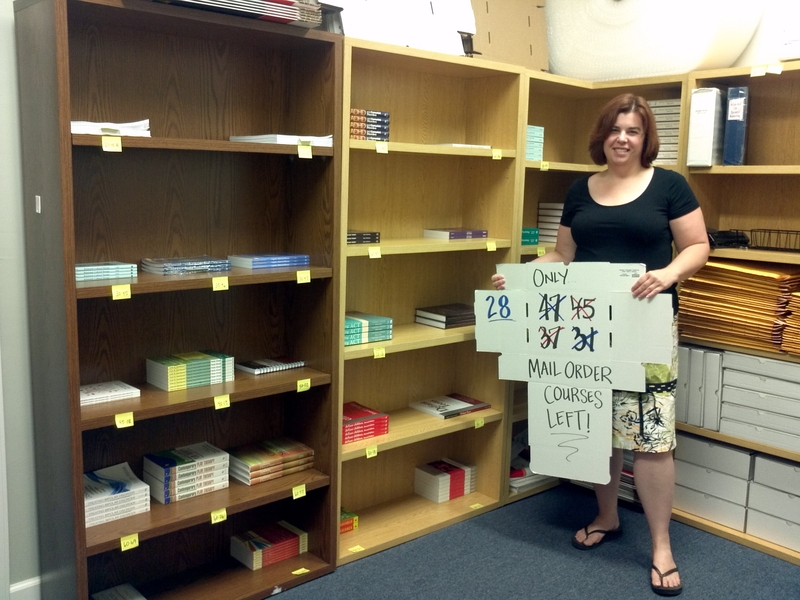 Melissa updates countdown box - only 28 mail order courses left! The shelves are growing bare. Prices have been slashed. We’re well on the way to being book-free! Q: What is CE Broker and why was it developed? A: CE Broker is the name of an electronic tracking system developed for the Florida Department of Health to help track and facilitate audits of continuing education (CE) credits earned by Florida’s health care practitioners. The Department of Health was mandated by law to implement an electronic tracking system. Q: How does CE Broker affect my license renewal? A: CE Broker has no effect on your ability to renew your license. Q: If I, as a licensee, do not have the necessary CE credits reported in CE Broker to meet the CE requirements, will I be disciplined? A: If an audit (electronic) indicates you failed to meet your CE requirements, you will be referred for possible action against your license. This process includes an opportunity for you to submit, manually or electronically, proof of your compliance with the CE requirements and thus avoid further action against your license. Only if you cannot prove compliance with your CE requirements will you be subject to further action against your license. Discipline will be conducted according to the licensure rules which govern your profession. Q: Will my license be renewed if at time of renewal any or all of my required CE course credits have not been reported to CE Broker? A: Yes, your license will be renewed as compliance with your CE requirements is not linked to renewing your license and data in CE Broker is not used during renewal. Q: How will the information in CE Broker be used by the Department of Health? A: The information collected in CE Broker will allow for the enhanced auditing of licensees by verifying which licensees have completed their required CE hours, in accordance with the laws and rules governing their profession, by the last day of the licensure biennium. Q: Can I self-submit a course completion report to CE Broker? A: Yes, you may self-report course hours not otherwise reported, if allowed by your profession’s rules, by accessing the CE Broker website, at no cost. Q: Is my CE information in CE Broker a public record? Q: Must I subscribe to CE Broker? A: Subscription is completely voluntary and is not required to self submit CE credits. Q: Will I be exposed to a greater risk of CE audit if I do not subscribe to CE Broker? A: No, all licensees will be audited by the Department of Health approximately six months after renewal regardless of whether or not you subscribe. Q: Will a subscription to CE Broker affect the way I am currently regulated, audited, inspected, monitored or disciplined by the Department of Health? A: No, the Department of Health will have no knowledge of who subscribes or doesn’t subscribe to the services offered by CE Broker. Q: What advantages would I, as a licensee, gain by subscribing to CE Broker and paying the subscription fee? A: A subscription with CE Broker gives you 24/7 online access to view your CE transcript and compliance determination, view your chronological course history, search for courses that fulfill the CE requirements for your profession including times and locations, view how a course will count towards meeting your CE requirements, provide notices and reminders for your CE requirements, and provide you access to frequently asked questions about your specific CE requirements. Please visit the CE Broker website at www.cebroker.com for more information on the advantages of subscribing. Q: Do you (PDResources) report my course completions to CE Broker? A: Yes, as long as we know you are licensed in Florida (must be listed in your account profile). We are required to report your course completions within 30 days – but do so much more frequently. Please email us at ceinfo@pdresources.org with specific questions. 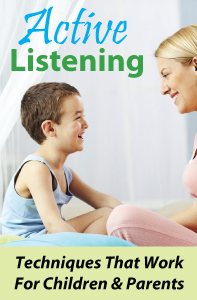 Please note: We DO NOT report course completions to CE Broker for SLPs/Audiologists. ASHA is responsible for reporting your course completions to CE Broker. 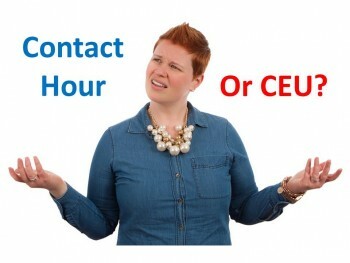 If you do not report your hours to ASHA, you will need to self-submit to CE Broker. 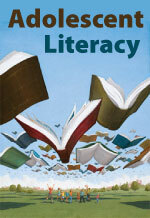 We recently released a new continuing education course on Adolescent Literacy with a credit value of 1-hour. Upon further examination of the course we realized the word count was closer to a 2-hour credit course. So we added four more test questions and upgraded the credit (and the cost, of course :)).